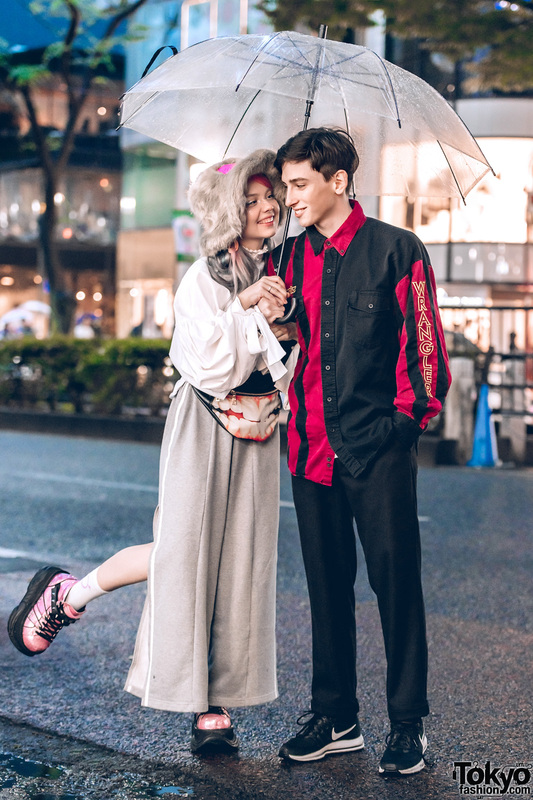 Ellen Sheidlin and Eugene on the street in Harajuku in the rain. Harajuku girl with black hat, wearing a layered black and white outfit with shirt, top, shirt dress, jeans and coat, tote bag, teeth necklace and lace-up boots. Harajuku girl with long braided hair, wearing a borrowed jacket and ruffle skirt, graphic tights, doll face bag, rocking horse shoes and layered ethnic accessories.